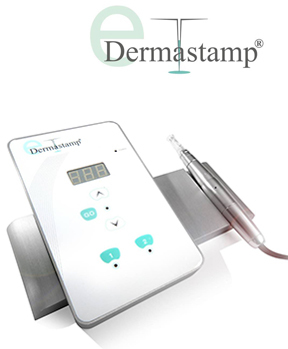 The latest innovation from Aestheticare is the EDS Skin Rejuvenation medical skin-needling device. This is the next level from the multi-gold, award winning Genuine Dermaroller to provide to the customer – Even more intensive, Even more controllable, Even more comfortable. Helping make your skin Even smoother, brighter, younger and healthier looking. EDS™ Skin Rejuvenation provides advanced, electronic skin needling procedure. This stimulates the skin to regenerate and repair itself naturally and safely. It is most commonly on the face (however we can treat décolletage, stomach legs etc.) to produce thousands of needle columns in the skin. These columns will stimulate the skin to regenerate and repair itself while closing rapidly enabling the skin to recover quickly. The precision engineering of the device enables us to control the treatment intensity, adjusting the needle depth and speed depending on the area and skin condition. Numbing cream will be applied prior to treatment for comfort. During the procedure a hyaluronic acid solution or advanced mesotherapy solution will be applied to enhance the results. 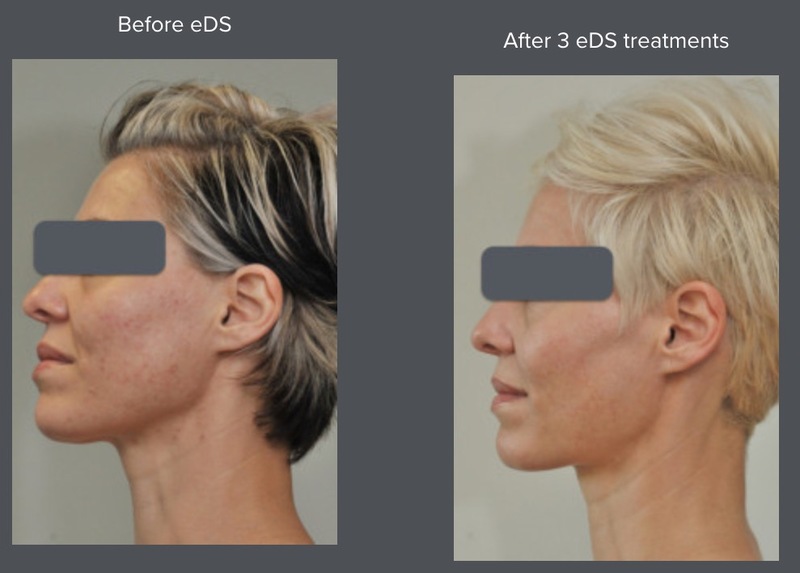 After an EDS™ Skin Rejuvenation procedure your body will start to naturally regenerate and repair the skin, working below the surface in the dermis. This takes time as new collagen is formed, skin cells are generated and blood supply is enhanced. It can take up to six weeks before visible signs of regeneration and repair are seen and the process will continue over the following months. Normally a series of three procedures every six weeks are recommended. It may be necessary to increase the number required depending on your skin complaint.